Winston Wächter Fine Art is proud to announce our first solo exhibition, Stories with artist Kate Neckel. Kate Neckel’s paintings record the energy and flow of her surroundings. For years, living in New York, her work reflected the kinetic, vibrating energy of the city, in vibrant and colorful topographic compositions. Since moving to the Pacific Northwest, there is a noticeable shift in her work, where her brushstrokes have become bold outlines, like winding rivers mixing with totemic symbols. Her visual stories are spontaneous and pour from her, like ancient guides to her two homes. Kate Neckel earned her BA from University of Maryland at College Park, and her MFAs from the Maryland Institute College of Art and the School of Visual Arts in New York. A selection of her collaborations include designer Zac Posen, Ace Hotel, Cole Hahn, The New York Times and the Seattle Seahawks. 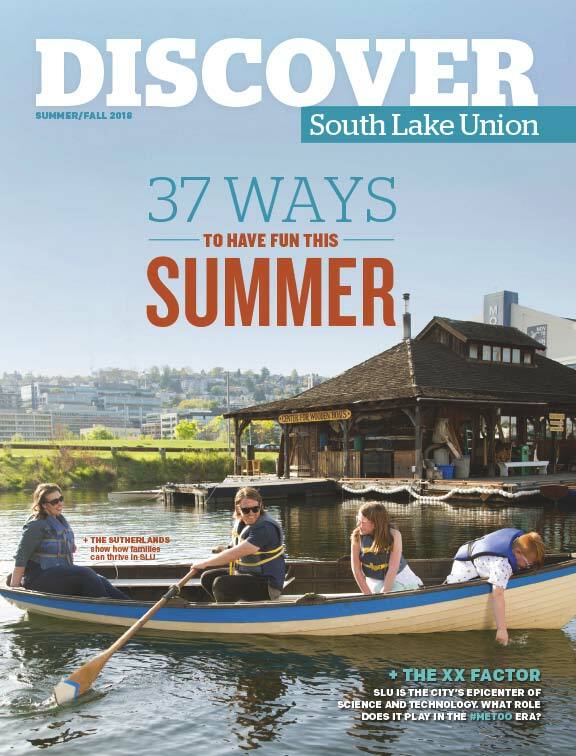 A resident of New York for seventeen years, she now makes her home in Seattle with her family. 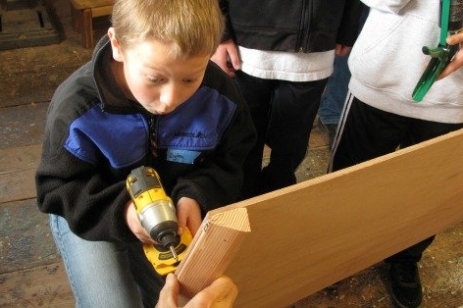 This design & build class gives students the opportunity to explore creating objects from their own imagination, while learning to use hand tools effectively. Students will learn to move from an idea, to a drawing, to building something out of wood. Session is $220. 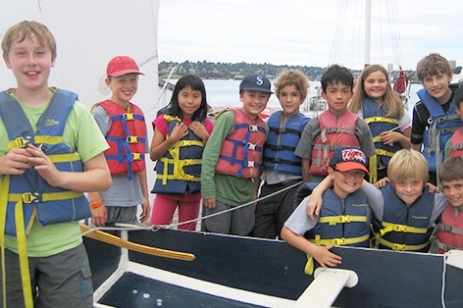 We offer a variety of school year sailing & woodworking programs for individuals, youth organizations, school groups and scouting troops. Classes take place on weekends or after school. Custom school-day programs can be easily arranged as well. Check the website to register and see the most up-to-date class schedule, or email youth@cwb.org to arrange a custom class. Additional classes are continuously added, so check the website often! 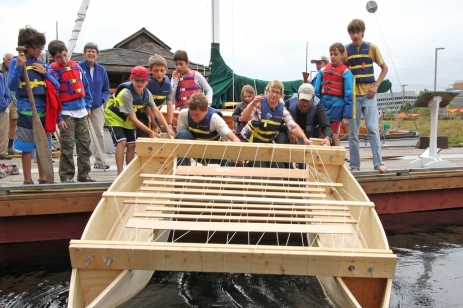 Youth Sailing and Woodworking programs are designed to engender skills in leadership, observation and decision-making while exploring maritime heritage and skills in a dynamic hands-on environment. Team-building games, rigging, knot tying, tool use and demonstrations are preparation for sailing adventures and boat construction. Our talented and dedicated team of instructors are US Sailing-, First Aid-, and CPR-certified. They are trained and experienced in working with youth to ensure safety and best practices on-the-water and in the shop. CWB is able to offer scholarships for nearly all youth programs due to the generosity of CWB supporters! 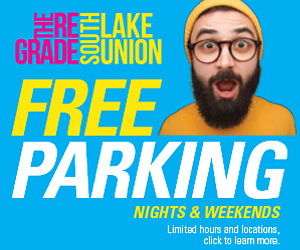 If you require a discounted program, we welcome you to apply online. If you are in a position to pay more than the suggested price, additional funds will contribute directly to making youth programs more widely accessible. Learn how to use basic hand tools and then work at your own pace on take-home projects including a tool box and a bird house. Session is $220. STEM SAILING & ROBOTICS FOR GIRLS WITH FROG PRINTS E! Building women leaders from the water-line up! 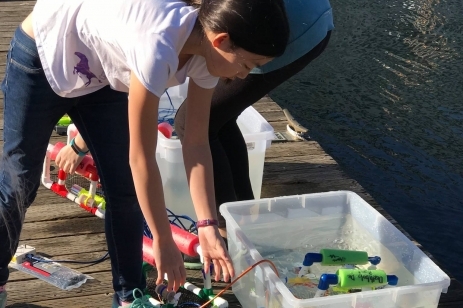 In partership with Frog Prints e, this STEM Sailing Class is aimed towards teaching middle school-aged young women about sailing, robot building, scientific investigations, and fun! Session is $590. Students have fun learning the fundamental skills of sailing, while developing self-confidence, patience, observation, and teamwork. Students sail in pairs or solo in our fleet of wooden El Toros. Sessions are $240. Winston Wächter Fine Art Seattle is proud to announce Venn Pirouettes, our seventh solo exhibition with painter Michael Schultheis. Please join us for our opening reception on Wednesday, September 5, 6 – 8 pm. The artist will be in attendance. Venn Pirouettes, Michael Schultheis’ latest body of work, pushes his mathematical expressionism to three-dimensional form and immersive experiences. Schultheis presents his bronze sculptures of mathematical symbols in tandem with his paintings, creating an entry point to the visions in his mind. 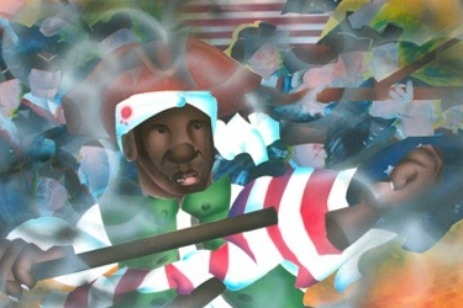 His goal is to transport the viewer into his world where equations and symbols are a timeless and universal language, expressing the stories of the human experience. His work can be found in the collections of the Tacoma Art Museum, Tacoma, WA; United States Embassy, Athens, Greece & Bern, Switzerland; and the Mathematical Association of America, Washington D.C., among many others. Exhibitions of his works have been held at the Howard Hughes Institute in Chevy Chase, MD and at the National Academies of Sciences in Washington, D.C.
Michael Schultheis will be opening a solo exhibition at the Jordan Schnitzer Museum of Art at Washington State University on January 15th of 2019. WORK ON DISPLAY: Stories…about Us! WORK ON DISPLAY: I want to be here with you, I want to change. Empires were destroyed, millions perished, and the world was upended by a war meant to end all others. Making its West Coast debut at MOHAI on September 1, 2018 through February 10, 2019 WW1 America tells the story of one of history’s most remarkable moments. The WWI era—1914 to 1919—saw America transformed. It was a time of wrenching extremes that pulled Americans between the poles of fear and hope, between deepening cynicism and broadening optimism. 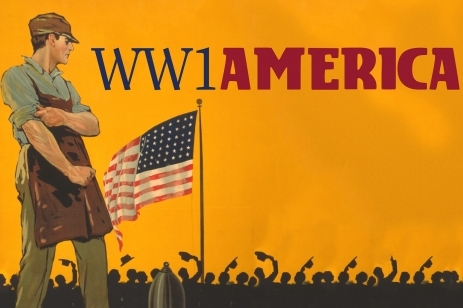 Through original artifacts, images, voices, interactives and multimedia presentations, WW1 America tells the extraordinary stories of Americans—both legendary and unsung—during this turbulent time. This powerful exhibit will coincide with the centennial of Armistice Day on November 11, 2018 the day the war ended and an especially important day of international observance in 2018 (known in the United States as Veterans Day). Developed by the Minnesota History Center in partnership with the National Constitution Center, the National World War I Museum and Memorial, the Oakland Museum of California and the Bob Bullock Texas State History Museum, WW1 America illustrates how the past can help us understand our nation and our world today. 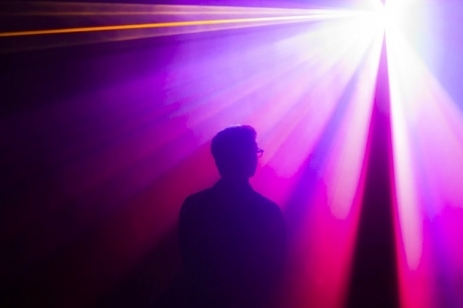 We Are All Made Of Light, by Seattle-based artist Maja Petric, is an immersive art installation that utilizes artificial intelligence (AI) to create interactive light and sound sculptures. These environments are formed as the AI-driven technology recognizes and captures the shape of visitors with encompassing light. Over the course of the exhibition, visitors’ physicality is recorded and represented through a collection of light forms, documenting the growing history of visitorship and space. Petric’s collaborators include AI Microsoft Researcher Mihai Jalobeanu and 3D Sound Artist Daniel Peterson. Mihai Jalobeanu received a Ph.D. in Robotics from Technical University of Cluj-Napoca, Romania. He is a Principal Software Developer at Microsoft Research. His research spans machine learning, robotics, automation, distributed systems, computer vision, programming languages, and anything else that can be used to make robots smarter. Daniel Peterson is a 3D Sound Artist living and working in Seattle, WA. He completed a Master of Music in Composition at the University of Washington and is currently a Ph.D. candidate at the Center for Digital Arts and Experimental Media (DXARTS) at the University of Washington. His work has been shown internationally. His research interests include spectral analysis, ambisonics, and the exploration of relationships between literature, philosophy, and music.